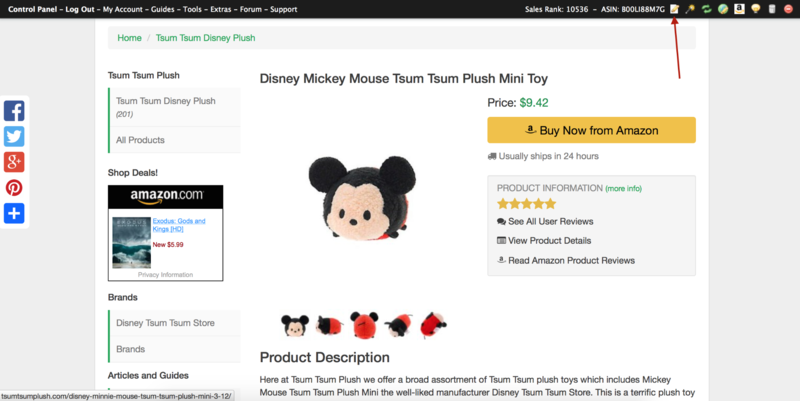 This quick guide is going to show you 2 ways you can quickly add customer reviews to your product pages. These custom reviews you add, will be so much more powerful than the amazon reviews that are currently only in a iframe and offer no seo benefits. There are 2 ways you can currently add a customer review to your product page. One way is edit the product you want to add a review. You can quickly visit the product page and click the EDIT ICON or you can use the freshadmin panel to locate your product for editing. Once you are on the EDIT PRODUCT page, you will see a icon for ADD CUSTOMER REVIEW to the right side. Once you click the ADD CUSTOMER REVIEW icon, you will be able to quickly add your own custom review. Once you click Save, it will take you to the APPROVAL page for all comments. 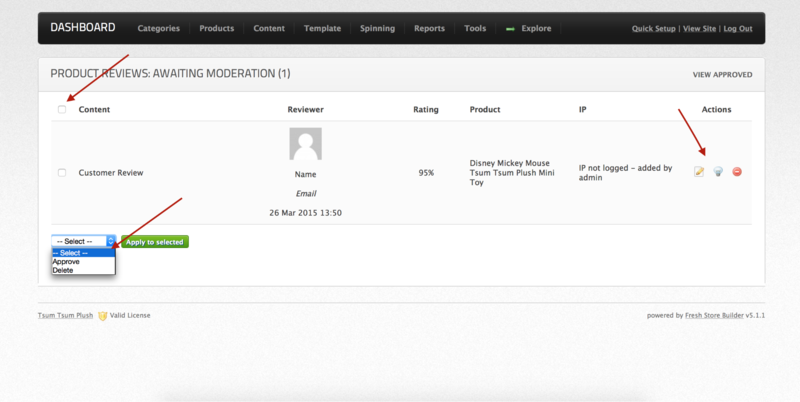 On the Approval page you can quickly enable, edit or delete any reviews waiting for approval. To get to this page from your freshadmin panel, you just need to click on the Content tab and then on View Customer Reviews. 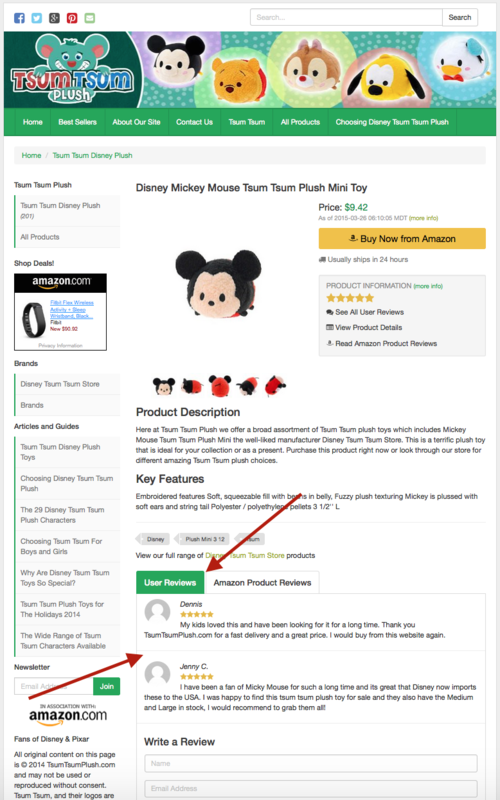 Another way to quickly submit a review for your product and also for your customers, is to visit the product page and scroll to the bottom. You will see the form to submit a review. Once you submit a review on the product page. You will need to go back to the “View Customers Reviews” page and approve any submissions. You can also easily go back and edit or delete any customer reviews you don’t want shown anymore. You just need to go back to the View Customer Reviews page and click on the VIEW APPROVED link. On the view approved page, you will see all the reviews approved for your store. You can edit, disable or delete any of them from this page. Display Product Detail Amazon Reviews – Choose to Show or Hide the Amazon Reviews section on the Product Detail page. Product Detail Amazon Reviews Title – Customize the title of the product detail Amazon Reviews section. 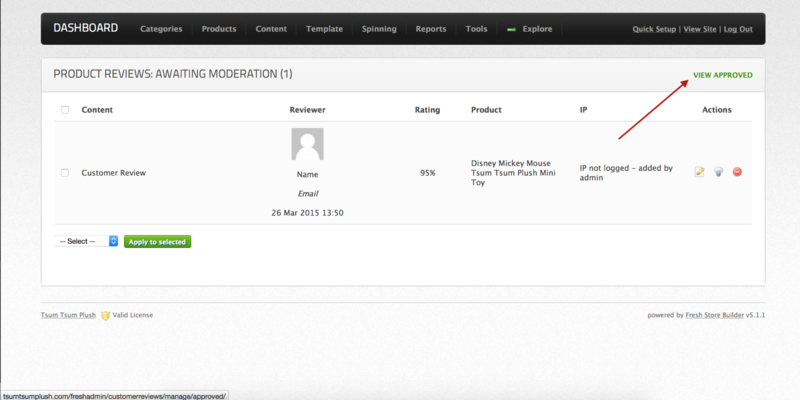 Display Product Detail User Reviews – Choose to Show or Hide the User Reviews & Star Ratings. 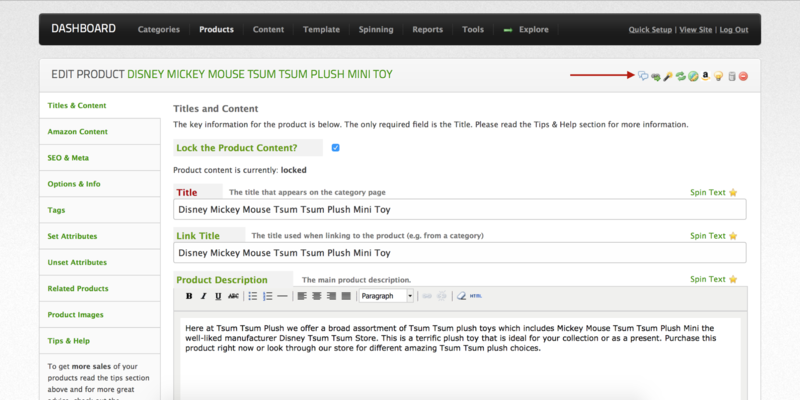 Product Detail User Reviews Title – Customize the title of the product detail User Reviews section.